Lionfish fit the definition of invasive species perfectly: they were introduced by humans to the Atlantic where they don’t belong and could potentially cause significant environmental harm. To control them, we need to know where and when to find and catch them in the greatest numbers. In Bermuda, it appears that lionfish may move seasonally between deep and shallow reefs. I want to tag them with acoustic transmitters to monitor their movements. Lionfish were first reported in the Atlantic 30 years ago and arrived in Bermuda by 2000 (Schofield et al 2010). Research suggests they may have a dramatic negative impact on the coral reefs they have invaded (Hare and Whitfield 2003). For example, lionfish can reduce the numbers of juvenile reef fish by nearly 80% in 5 weeks (Albins and Hixon, 2008). Similarly, between 2008 and 2010, the contribution of lionfish biomass to total predator biomass nearly doubled at sites across the Bahamas, while the biomass of prey species declined by 65% (Green et al 2012). Culling lionfish, however, reduces their abundance (Frazer et al 2012), allowing fish populations to recover (Green et al 2014). For culling to be effective, however, it is imperative to know where and when lionfish are most abundant. Research shows lionfish eat at least 44 fish species and 17 different crustaceans in Bermuda, suggesting a potentially substantial impact on that reef ecosystem (Eddy et al 2016). Furthermore, research into their abundance and distribution around Bermuda (Eddy et al, unpublished data), coupled with reported captures of lionfish by permitted lionfish cullers, suggests they move between deep sites (≥150ft or 45m) in the summer and shallow sites (<30ft or 10m) through the winter. While this behavior has not previously been documented in lionfish, no long-term tagging studies have ever been attempted on coral reefs or across the range of depth proposed herein, providing us with a unique opportunity to unravel a significant detail of the lionfish story in Bermuda. In theory, it's relatively easy to monitor the movements of lionfish, or any fish for that matter. First, I need to deploy receivers in an array that covers 2.5 square kilometers of reef, ranging from the surface to 200ft (60m) deep. Second, I need to catch 20 lionfish within that array and tag them with acoustic transmitters. Once released, their movements will be recorded by the receivers, along with the depth and temperature wherever the fish may be. At the end of the 12 month study, I will retrieve these receivers, download the data, then track the lionfish and recapture them (so my lions don't kill more fish). This data will help lionfish hunters and commercial fishermen to efficiently target lionfish where and when they are most abundant, contributing to an effective removal plan. I'm proposing to tag 20 invasive lionfish with acoustic transmitters ($765 each) to record their seasonal movements within an array of 15 acoustic receivers ($1520 each) off Bermuda’s south shore, where deep and shallow coral reef habitats lie in close proximity. This project will require a lot of equipment, access to boats, and time underwater, of which the former two are rather expensive. The budget for this project is actually about $90,700, but several people and organizations (e.g. Bermuda's Department of Environment and Natural Resources, Bermuda Aquarium Museum and Zoo) have offered to volunteer their time, equipment, and an occasional boat ride, saving us about $16,000. That said, I'm still looking to raise $77,043 (including a 3% fee for Experiment). I'll provide a full spreadsheet of the budget in a Lab Note. 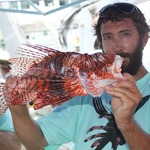 The Bermuda Lionfish Task Force supports Dr. Corey Eddy as the right person to lead a project of this nature. 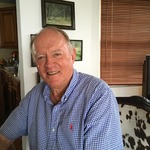 He is well known in Bermuda for his PhD work on the ecological impact of lionfish on Bermuda's coral reef ecosystem, as well as his tireless outreach and education efforts. Importantly, Dr. Eddy has previous experience with tagging studies, and has already garnered support from a few local organizations to move this project forward in an efficient manner. As the Lionfish invasion in Bermuda’s waters grows, so must our efforts to detect and remove them. Many Bermuda residents have been trained to safely cull lionfish, efforts to design traps for lionfish are continuing to evolve, and companies are developing remotely operated robots to locate and harvest lionfish. Having a better understanding of seasonal movements of lionfish is important for the application of all three of these removal methods, and we need this study in order to optimize the timing and location of removal efforts. Invasive lionfish are a threat to invaded ecosystems, yet each population has different characteristics, driven by habitat and environmental parameters. 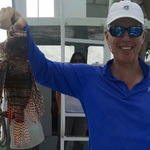 Dr. Eddy’s research will provide critical information on a rather mysterious aspect of Bermuda’s invasive lionfish population – apparent seasonal movements across different depth zones, which has not been documented previously. Importantly, the results from this unique tagging study will feed directly into control programs that aim to mitigate the risk posed by invasive lionfish in Bermuda. This project will begin in October 2017, when the abundance of lionfish typically increases in Bermuda’s shallow waters. First, the receiver array will be deployed to monitor the 2.5 square kilometers of reef stretching from the inshore shallows to 60m depth. Following that, 20 lionfish will be fitted with acoustic transmitters and external ID tags. In October, 2018, we will retrieve the receivers to download the data, and locate and recapture the lionfish using a mobile hydrophone. I received my PhD from the University of Massachusetts Dartmouth in August 2016. 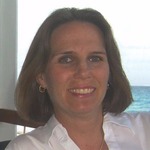 I received my bachelor’s degree from the University of Rhode Island, whose study abroad program first brought me to Bermuda for a semester at the Bermuda Institute of Ocean Sciences in 2006. I am also a Fellow through the National Science Foundation’s Graduate Research Program and a member of the Bermuda Lionfish Task Force. On behalf of Bermuda’s Department of Environment and Natural Resources, I developed and currently manage the Bermuda Lionfish Culling Program. My research interests focus on studying the life history characteristics, habitat use, and feeding ecology of ecologically important predators like sharks and lionfish. For my doctoral thesis, I studied the ecological impact of the invasive lionfish upon Bermuda’s coral reef ecosystem. Supported by a Darwin Plus grant from the United Kingdom’s Department for Environment, Food and Rural Affairs, I examined 1) the abundance and distribution of lionfish around the islands, 2) their life history characteristics (age, growth, and reproductive biology), 3) feeding ecology based upon stomach contents analysis, and 4) feeding ecology based upon stable isotope analysis. The overarching theme was to provide the demographic, biological, and ecological information necessary to model the growth and potential impact of lionfish on Bermuda’s reef ecosystem. In addition to what I've accomplished as an aspiring scientist, I spent countless hours reaching out to Bermuda’s green-community, as well as students and the general public across the island, to share my knowledge about the invasive lionfish and Bermuda’s marine environment. I put my heart and soul into that community and am grateful for having had the opportunity to make an impact. Having graduated, I hope to continue studying and conserving Bermuda’s marine ecosystem, while educating the Bermuda public along the way. Please help promote. Desperate times. We have been offered in-kind support from Bermuda’s Department of Environment and Natural Resources (DENR), the Bermuda Aquarium Museum and Zoo (BAMZ), and a small army of permitted lionfish cullers. The DENR and BAMZ have offered access to a vessel and personnel for deploying and retrieving the receivers and use of their laboratory facilities. Finally, we have garnered tremendous support for this project from permitted lionfish cullers, several of whom have offered their own boats and time for diving operations, to observe tagged fish, capture lionfish and to deploy or retrieve transmitters.